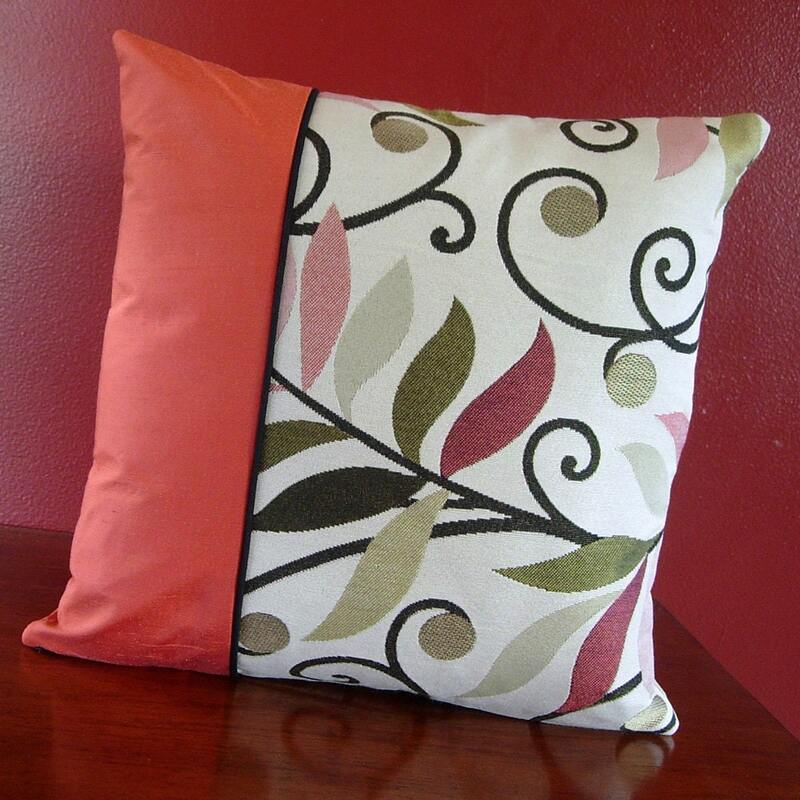 Update your modern or contemporary home decor with elegant 12x12 black, coral, and olive green foliage pillows. Made from recycled high end decorator fabric scraps, this reversible decorative pillow is ecofriendly as well as eye catching. Just insert a pillow form or polyester fill from your local fabric/craft store, zip it up and it's done. If you'd like a pillow insert included, message me and we can work out the details. Pillow covers are shipped worldwide via First Class Mail.